Among other things, Liebherr-MCCtec GmbH is presenting a newly developed product from the deck crane area at the SMM 2014 (hall A1, stand 308) – a 250 tonnes crane, specifically designed for heavy duty and multi-purpose operations. During the development, the attention was focused on functionality, safety and optimized maintenance effort. Liebherr-MCCtec GmbH is also presenting the SmartGrip system. 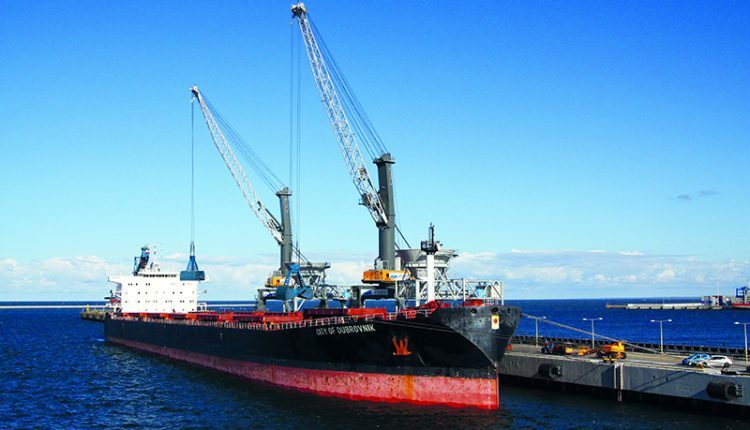 The system was developed specifically for mobile harbour cranes and optimizes the grabber fill rate. It adapts its behaviour automatically to the bulk intensity, pressure, granularity as well as the prevailing framework conditions and offers many advantages, such as increased handling and the avoidance of overloads, thanks to this intelligent behaviour. Liebherr-Component Technologies AG is presenting a range of products from the area of hydraulics, large diameter bearings and gearboxes at stand 115 in hall A3. The focal point is the presentation of application-specific solutions. The components and system solutions developed by Liebherr are suitable for a wide range of maritime applications such as in cranes, ship propulsion systems and special equipment. The offshore crane application is the focus of the trade fair stand. It is presented in a scale of almost 1:1 – with components for offshore rope winches and a slewing mechanism. The PEG 550 gearbox, also exhibited at the trade fair, is a representative of a range of planetary plug-in gearboxes revised by Liebherr. They are intended for installation in rope winches and are of particular interest for companies that wish to purchase or manufacture the winch drum and frame separately.